Why Choose Web Media University’s Self Study Social Media Certification Program? 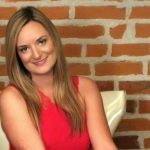 Get hands on training with Michelle Hummel, CEO of Web Strategy Plus, a full service Social Media Marketing Agency. Learn EVERYTHING you need to know to be a Social Media Manager for your company! Get hands-on training with Michelle Hummel, CEO of Web Strategy Plus, a full-service Social Media Marketing Agency. Learn EVERYTHING you need to know to be a Social Media Manager for your company! Want To Learn How Social Media Can Help Your Business Increase Sales And Generate Leads? "How To Successfully Grow Your Business With Social Media"
Join us for a fun networking and learn session where we will show you exactly how to grow your business with proven Social Media Marketing techniques you can implement right away! Dinner will be provided so bring yourself, a friend, business cards and your think tank to this fun and engaging learning session. We will be giving away Door Prizes and one lucky winner will receive a $1,500 value Social Media Makeover!